One of the key components of traveling, naturally, is getting from A to B. When you’re in a dazzling country like France, you definitely want to be able to get around and visit its refined towns and cities, which you can do by making use of France’s excellent train system. Trains like the Trains à Gran Vitesse, or TGVs as they’re more commonly known, make this all the more easier and accessible. You can be in the country’s most beautiful towns and cities within hours! You don’t always have to take the fast train, though. The Teoz is slower but just as comfortable, or if you’re heading on a long-haul trip across the country, you can embark on an overnight adventure on an Intercité de nuit to places like Nice and Cannes and getting your night’s rest along the way. France spoils you with museums and the chance to indulge in some of the food and wine culture, and in its famous regions. Here’s our guide to some of France’s finest cities — the good news is, you can reach them all by train. It goes without saying that Paris should be on your bucket list if you’re exploring France by train. And capital cities are where all the action is, so you’ll be sure to catch a train to or from Paris to or from somewhere! As well as visit cultural sites like the Louvre and the Musée d’ Orsay, you can savor classical ballet at the Palais Garnier or head to the graveside of late celebrities such as Jim Morrison and the incomparable Oscar Wilde at Pere-Lanchaise cemetery. A stay in Paris is also the chance to do a little wine tasting. You can take the TGV fast train from the capital of France and in 45 minutes you’ll be in the capital of Champagne, Reims. This is your chance to experience the culinary culture of the region and step into the legendary vineyards behind one of the world’s tastiest tipples, and you will be able to pick the right wine for you one once you are back home. It’s not just all about the vineyards, though. While you’re in Reims, you should visit the house where Germany surrendered to General Eisenhower, for a sense of history. Lyon, the city where the Rhône and the Saône meet, is France’s second city and is all about more than just food. No longer is it a destination that people simply pass through while heading down to the south of France. Visit the Old Town and take the funicular up from Vieux Lyon metro station for the best view in Lyon: a view of the city from the basilica of Notre-Dame-de-Fourvière. 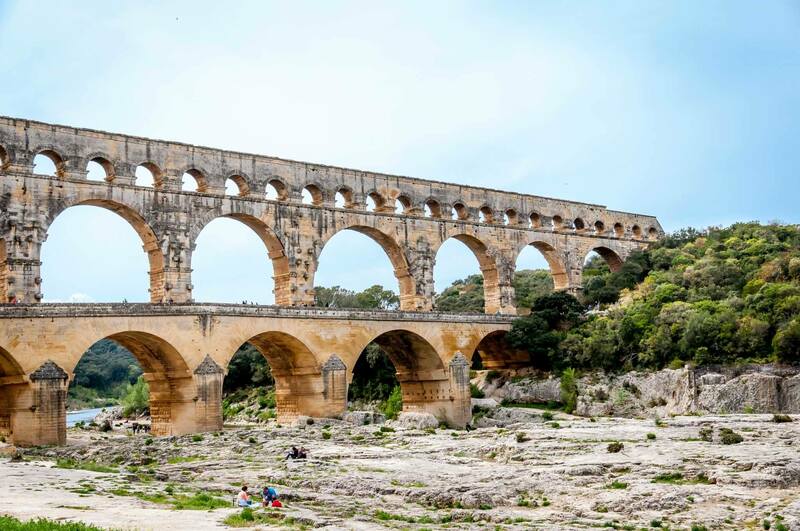 It takes just under three hours to reach the city of Nimes, in Provence, when you take the TGV high speed train from Paris. While you’re there you can visit the Arena of Nimes, which is something of an equivalent of the Coliseum in Rome but is today used for concerts and other live events. Take the time to wander around the Carré d’Art, which covers the period from the 1960s up to the present day and showcases art from movements that originated from the south of France. The train from Paris to Montpellier costs as little as €25 and the journey takes around four hours. This elegant city in the south of France remains warm enough to sit out on the terraces in autumn with a nice glass of wine. The Musée Fabre is one of the main points of attraction and is divided into three main galleries: the Old Masters, Modern Movements and Decorative Arts. Together they represent the last 600 years of artistic endeavour! If you’re looking to do something that little bit quirkier, try out Room Escape Montpellier. These escape-style games in which the players must solve puzzles to let themselves out of the room are all the rage at the moment. 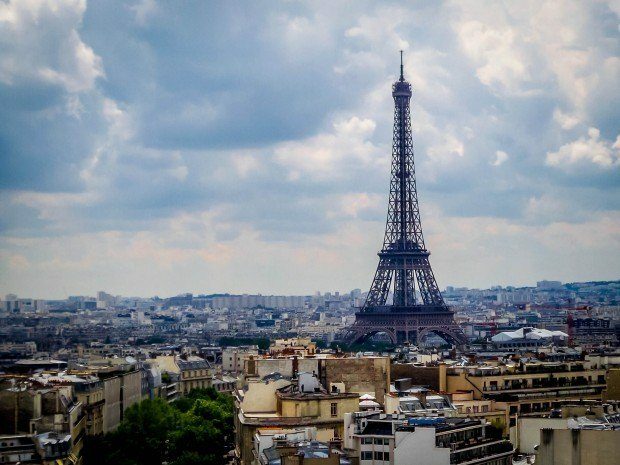 These are some of France’s most beautiful cities, offering culture and elegance in abundance. Best of all, you can reach them by train, no hassle! All images are our own.